Her Seduction. His Salvation. Feared by all and trusted by none, Aidan hunts alone, seeking vengeance against the evil that destroyed his son. 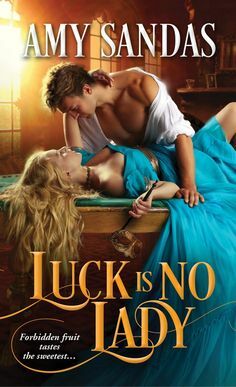 He has abandoned the Brotherhood and not saved an Innocent in sixty-six years – until he hears Brianna Rose’s scream across the centuries and leaps to modern-day Manhattan to rescue her… Brie is an empath who fights evil from the safety of her laptop – and fantasises about the medieval Highlander she once met. When Aidan suddenly appears, Brie cannot believe how dark and dangerous her fantasy man has become. She knows she should be afraid, but instead she will fight across time for his redemption…and his love. Aiden, loved his son and did everything in his power to save him, and now is furious and full of bitterness trying to revenge his death. He keeps seeing images of a ghost of his son, speaking to him but he can’t hear him. Aiden is strong, proud, and feels a need for tremendous power, and has been searching for a way to kill his father, who killed his son and gained powerful magical powers. But there is also a side of Aiden that he has buried deep, the side that Brie awakens in him, where he learns to love and care. Brianne has empathic abilities, and at times has been more of a curse than considered a gift. Bri works at home in a basement, and hides from everyone where baggy clothes, and trying to hide her looks, for she doesnt want to be like her passionate and vain mother who destroyed everything in her path. Brianne is shocked when she feels the pain and anguish from the one man she has had a secret crush on for the past year. So when he saves her, she is ever more determined to get through his hard exterior and find that good heart that she knows is within him. Dark Embrace is the first in the Rose Trilogy and the third in the Masters of Time series. This is the first that I have read from this author, and I can hardly wait to read more from the series. I have always loved time travel books, and this one was definitely at the top of my list of my favorites to read. Dark Embrace is a powerful story, with deep characters, exciting plot, sensual passion and a deep and instilling love. Such a great read, and evokes powerful emotions in the reader!! Amen to Brenda Joyce, she is definitely at the top of my list of favorite authors, and I am looking forward to reading the other books in these series!! !